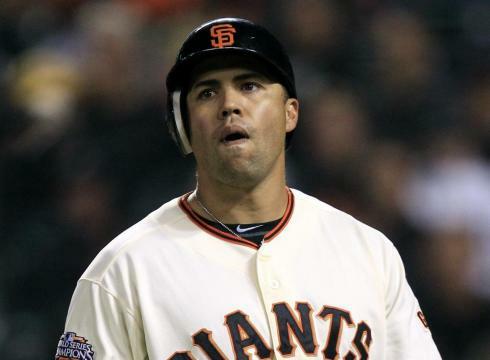 Rumor has it that Carlos Beltran and Rafael Furcal have already made a determination about which player will wear the #15 jersey in 2012. Technically, Beltran has the rightful claim as a function of his MLB tenure, but it is customary for the incoming player to come to some sort of sordid agreement with the player already in possession of the number he wishes to wear. From what I have heard, Furcal agreed to turn over #15 in exchange for a $50 gift card to Ruth’s Chris Steakhouse, a copy of the 2011 World Series DVD Set from A&E Home Entertainment, and a signed Adam Wainwright rookie card. 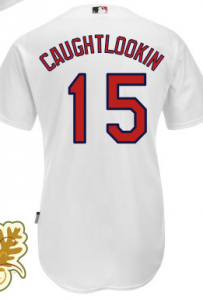 I’ve also been able to obtain an exclusive preview from an anonymous “mystery team employee” of the jersey Beltran will wear for home games next season (pictured above). Shortly after signing a contract with the St. Louis Cardinals, Carlos Beltran found himself surrouned by members of the media outside his favorite manscaping service provider. 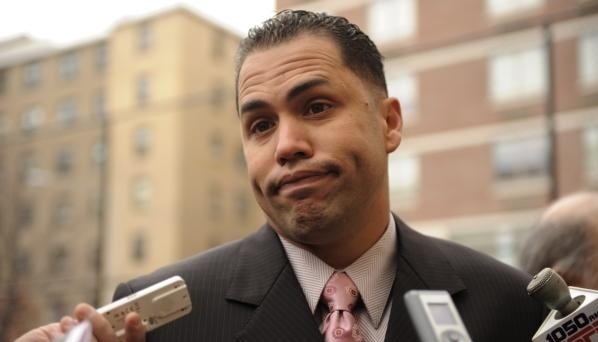 When asked about his knowledge of St. Louis, the Cardinal organization, and his ability to actually locate the city on a map, Carlos was speechless and could only manage to reply with the “Beltran Face”. 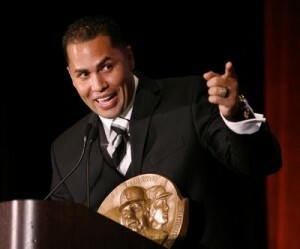 During this offseason, Beltran was honored by the Basement Baseball Warriors Association of America (BBWAA) for his achievements off the field in the area of Fantasy Baseball. When asked to provide advice to other basement warriors about how to win their fantasy league teams, Beltran declined to dole out any specific tips. When pressed for more information, Beltran did suggest that fantasy team owners should consider moving Beltran himself up their draft sheets. When asked to justify that recommendation, Beltran did mention that Adam Wainwright is a fantasy guru and that Wainwright has owned him for years. As a preview of what fans in St. Louis can expect to see during the next 2 years. The above picture captures Beltran making his famous “Oh” face. This is his signature move whenever he hits a ground-rule double…..or someone steals his stapler. TIDBIT: Don’t misunderstand me here. I’m fine with Beltran in St. Louis. As a matter of fact, I’d like to see the Cardinals commemorate the signing by selling Cardinal Clocks that freeze for a split second when the big hand reaches the “12” and the little hand reaches the “6”. 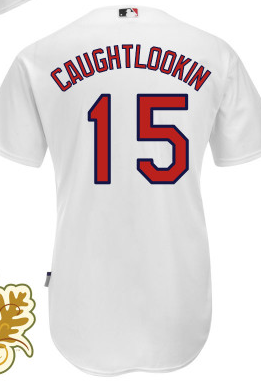 Also, his nameplate would look great on a locker between “Wainwright” and “Freese”. Follow gr33nazn on Twitter for more non-words!